The hype was real when MAC released their limited edition, Giambattista Valli collection. It's a fairly small collection, comprised of five lipsticks and an opalescent crystal glaze gloss. Even though the lipsticks sold out super fast-not surprising, I was lucky to be able to get my hands on the two that I initially had my eye on. Margherita and Tats. The lipstick tube is just gorgeous! I love how it coordinates with the lip color. Margherita: Matte bright peach with yellow undertones. This shade is so fun to sport during the warmer months. It looks amazing paired with a bronzed look. Tats: Matte vivid hot pink. I am very partial to bright pink lip colors, and Tats is an amazing new addition to my collection. I just love it! 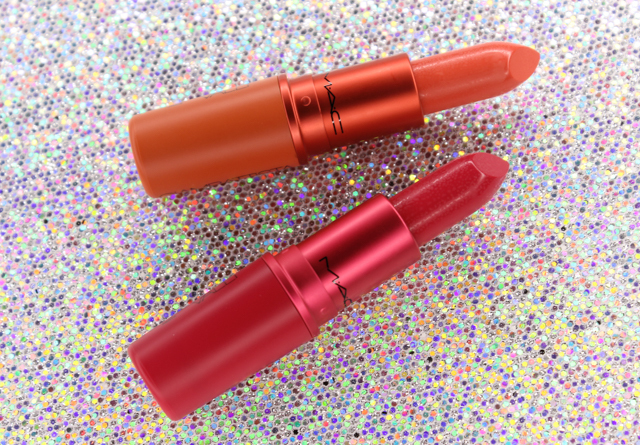 MAC's matte lipsticks are among my favorites, and the texture on these do not disappoint. Although both Margherita and Tats have a smooth formula that feels comfortable on the lips, I suggest properly exfoliating and prepping lips before application to eliminate the possible enhancement of any dry areas. 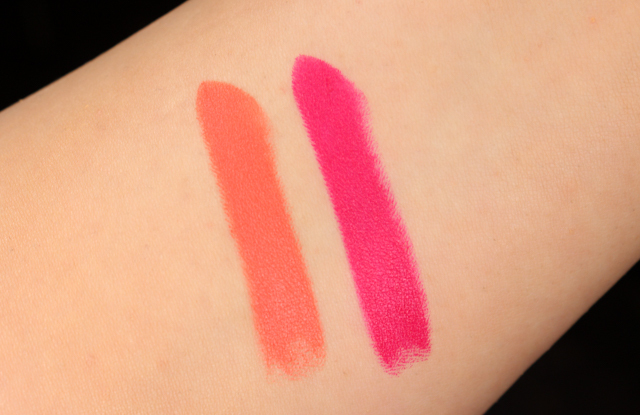 These lipsticks do not skimp in the color department, offering intense and opaque coverage. As for lasting power, I noticed some fading taking place around the five hour mark. Tats did leave behind a stain, though. 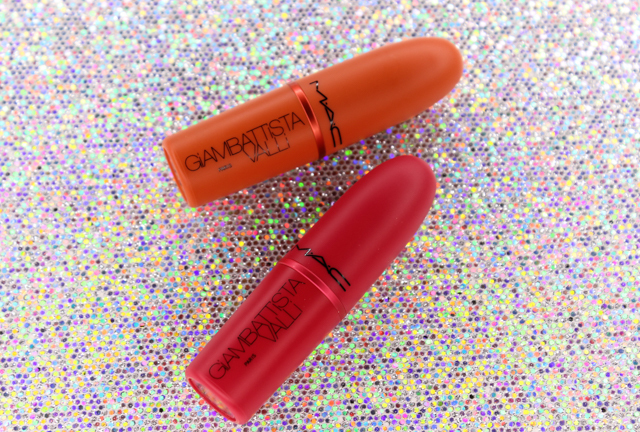 Did you guys pick up anything from MAC's Giambattista Valli collection?